Compact Powder Coating Plants | Italtecno Srl. 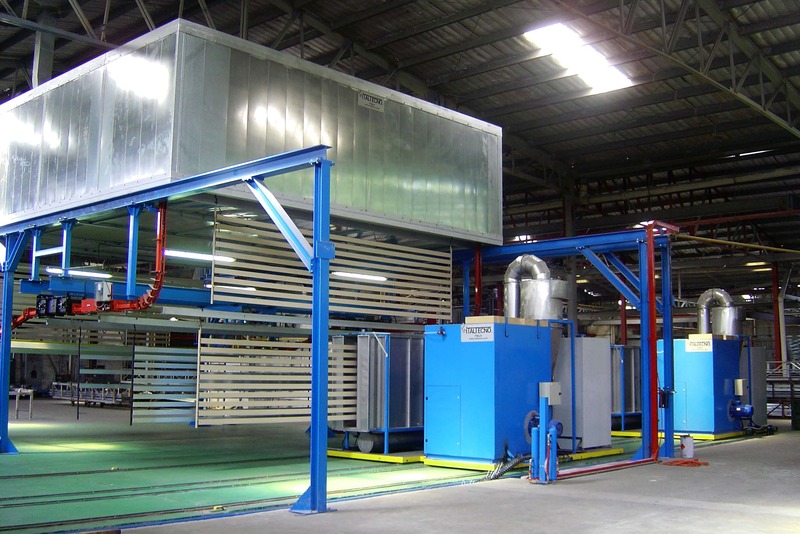 The ltaltecno Compact powder coating plant has been designed and engineered to coat, by means of polyester thermosetting powders, aluminium profiles and sheets. These items are loaded on suitable bars (complete with hangers). Standard models 1250 – 1500. Maximum load dimensions must be within 7000 x 300 x 1250 / 1500 mm; production up to 8-9 loads/hour for a standard plant. Plant design has been conceived to be able to carry out a particularly quick colour change. The advantage of the Compact plant compared to vertical and horizontal powder coating plant is the small room required and the limited initial investment when a low/medium production is required (300-500 kg/h).